Sand dredged from the Daintree River will be used to replenish the beach at Newell Beach this week. Trucks will start loading, transporting and unloading sand this Wednesday from 7am and work is anticipated to take one week. There will be increased trucks movements on Newell Beach Road, and residents at the intersections of Rankin and Newell Streets; Cyril Close and Newell Streets and those on the Esplanade from Newell Street south, will notice increased truck movements and may hear noise from plant and equipment operating on the beach to spread the sand. 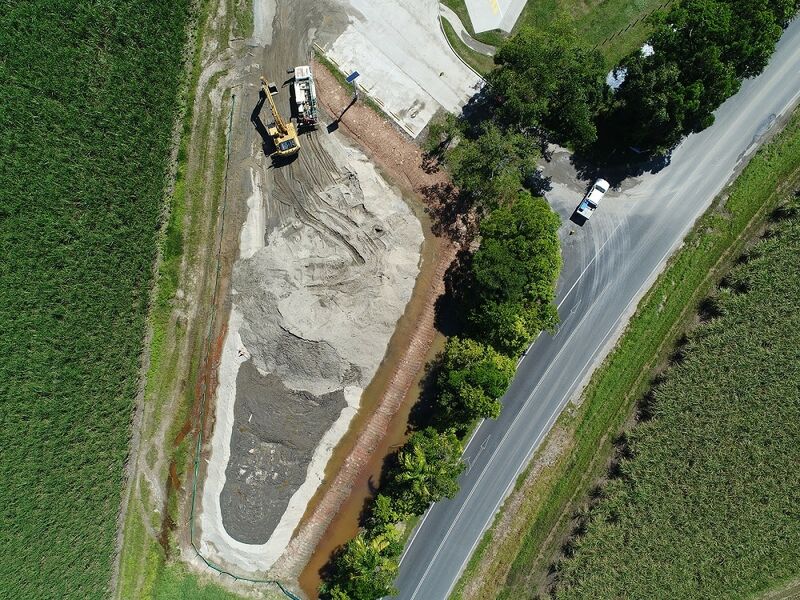 Aerial shot of the Daintree Ferry tip site. It has been three years since Douglas Shire Council placed 35 geotextile bags filled with sand on Newell Beach and put around 7,000 tonnes of material between the groynes to help mitigate erosion. This project will replenish some of the sand which has been lost in storms over the past three years.